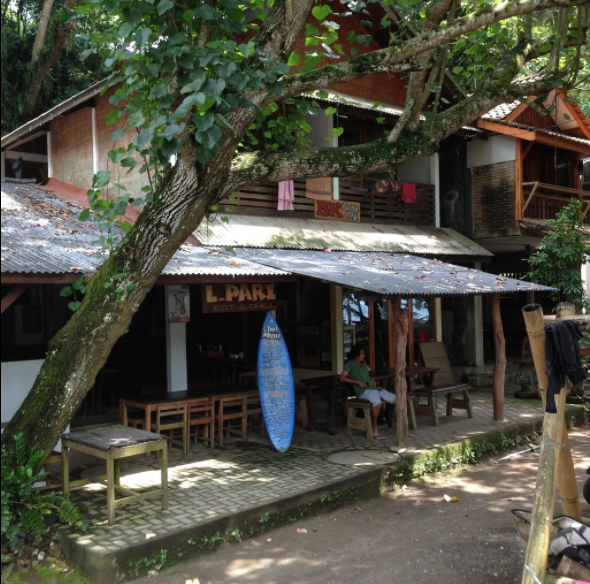 Batu Karas Homestay is a small, welcoming surfer run wooden guesthouse and cafe overlooking the gorgeous beach of Legok Pari in Batu Karas, on the south coast of West Java. 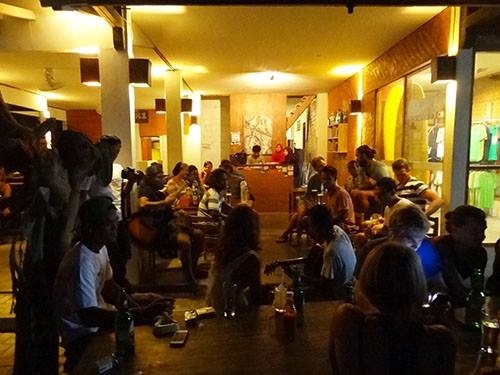 Batu Karas is a small, chilled and friendly place great for solo travellers as well as couples, small groups and families. The surf break is gentle and long, perfect for beginners and intermediate surfers while nearby there are challenging waves for those with experience. Many surfers stay with us for weeks, if not months, at a time and we pride ourselves on making sure our solo visitors are safe and secure. 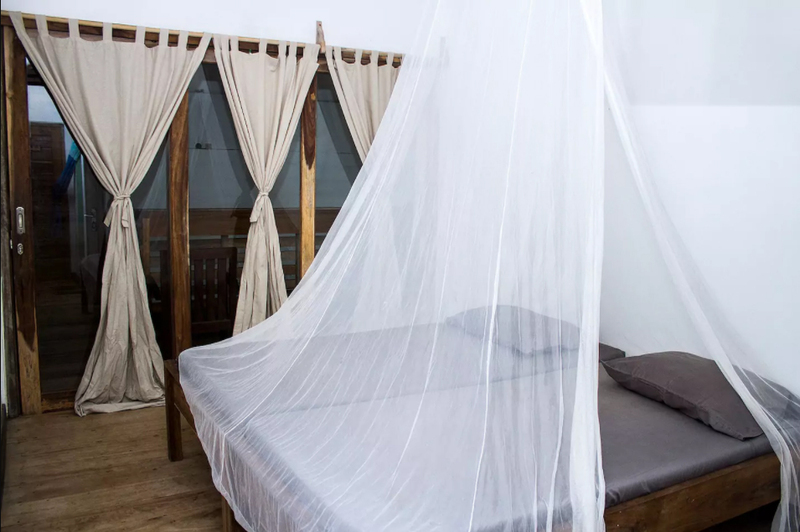 BK Homestay’s owners have traveled extensively over the years and so we know how to meet the needs of friendly people who want clean, simple rooms with a bit of style, fresh food and ice cold beer. 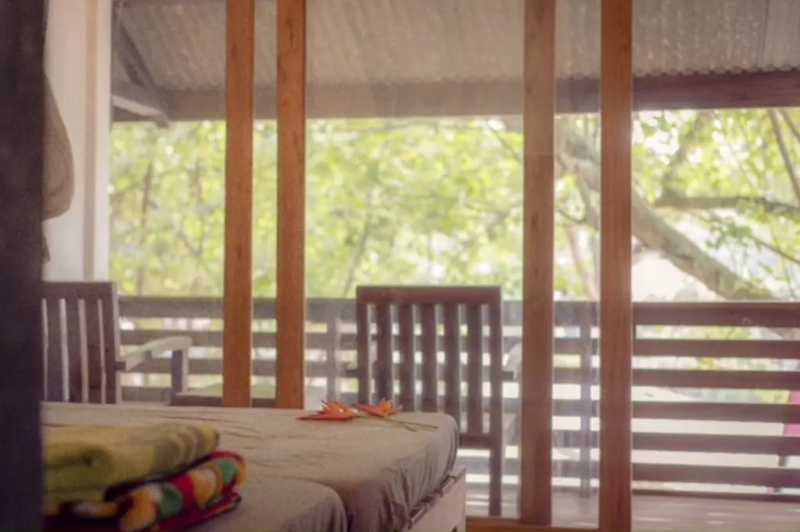 We are committed to sustainability and supporting our guests to have a great holiday. 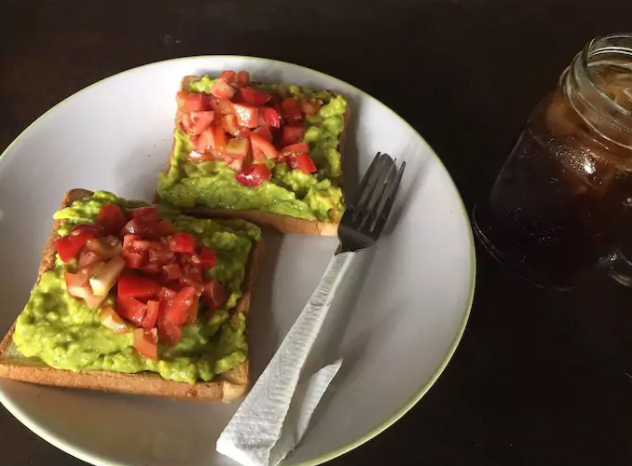 Our yummy breakfast consists of: homemade bread with eggs & tomato salsa OR banana pancake with honey/chocolate sauce/peanut butter OR Oatmeal and fruit OR Dragon Fruit Smoothie OR Smashed avocado on homemade toast. To drink: tea or coffee and water. BK breakfast is served from 7.00 am in our cafe overlooking the beach. Beach Distance Right by the beach! 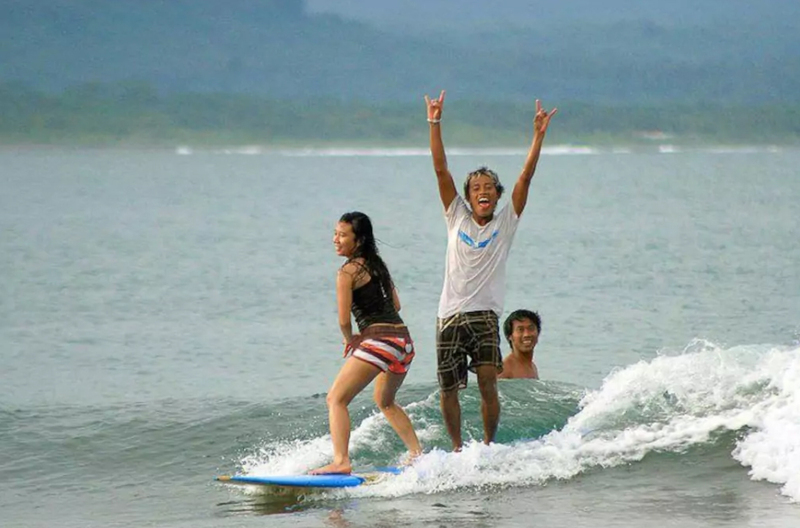 The tropical surfing spot and fishing village of Batu Karas is 30km west of Pangandaran and is one of the most enjoyable places to surf and chill out in South West Java. It’s as pretty as a picture – a tiny one-lane settlement, with two beaches that are separated by a wooded promontory. In recent years Batu Karas popularity has started to take off, but the village still retains a low-key, very relaxed charm. Most people come for the surf, but there is great swimming and sand castle building to be enjoyed too. The beach is sheltered and you can spend all day on the beach under the trees watching the waves or reading a book. Bikinis are not a problem. Nearby there are other surf spots which can be reached by road or sea. BK is a no-hassle zone and you can be as friendly or as quiet as you want to be. 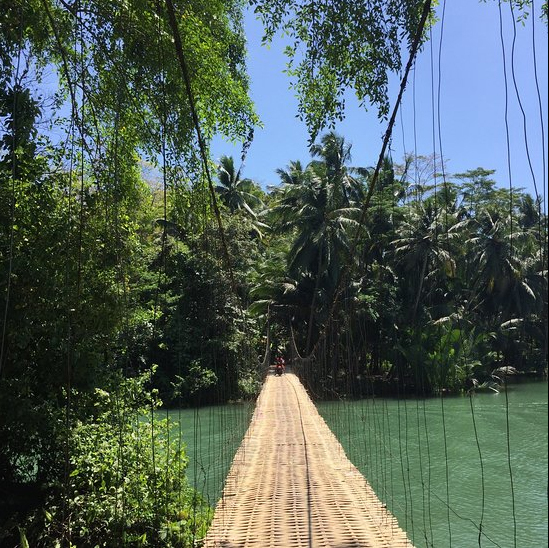 There are some great day trips if you get bored of the beaches or the surf is taking a break, including Green Canyon, Citumang waterfall, Green Valley, Pangandaran National Park, a turtle sanctuary and a puppet master. 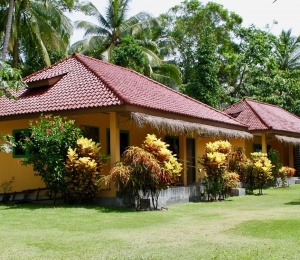 Batu Karas Homestay overlooks the beach and is walking distance to local cafes, stalls and restaurants. 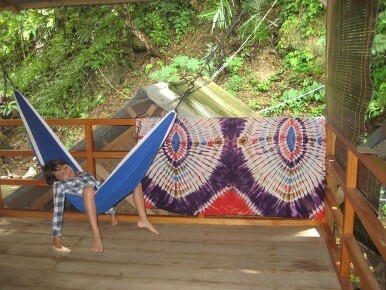 We have six guest rooms on the first floor above our cafe and surf shop. 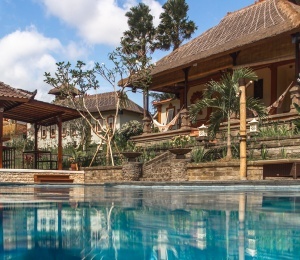 Each room, cooled by sea breezes, has a bathroom with shower and western toilet, Javanese teak chairs, table and large shelving with local mahogany flooring. 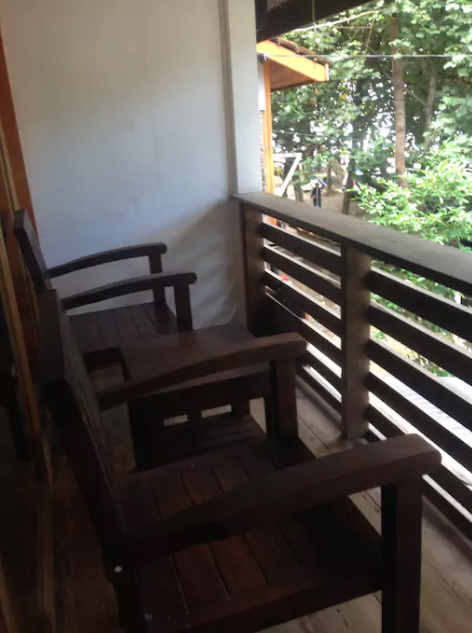 Three of our rooms overlook the beach and enjoy their own private balcony. 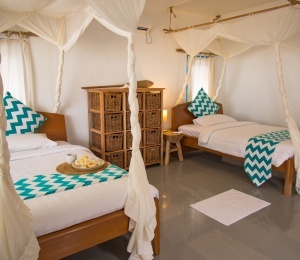 Our rooms have twin beds with fans, a mosquito net, cotton sheets and blankets, comfy pillows, towels and toilet paper. We recycle your plastic bottles and change sheets and towels on request. Breakfast is served in the cafe. Wifi is available in the cafe, though being in a rocky, hilly area (Batu Karas translates into Hard Rock in English) the internet connection is not always the fastest or strongest. 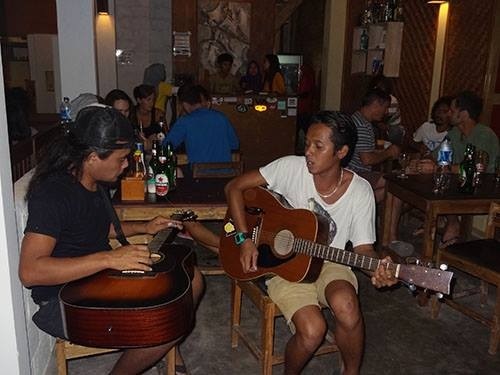 Ali and Doyok, who both speak English, will help you to make the most of your stay by helping you settle in, making arrangements for surf trips, bike rental or onward travel. Our cafe often has lots of surf talk going on. 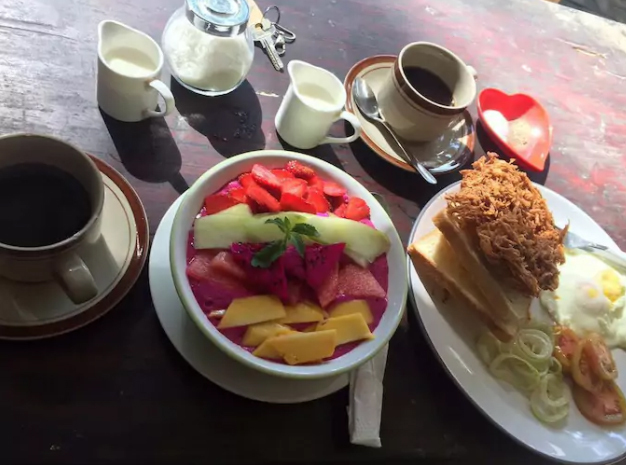 We serve lots of fresh, simple, tasty food and we are open everyday from 7.00 am to 10.00 pm. Nearby there are some great seafood restaurants and chill out places. Nothing stronger than beer or wine is on offer in the village, though feel free to byo. 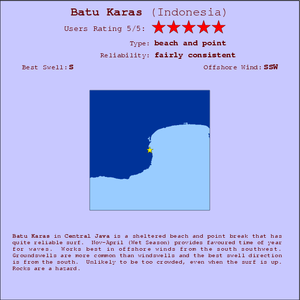 Batu Karas is popular among surfers, locally and globally, and is a stop off between Jakarta, Bandung, Bali or Yogyakarta. 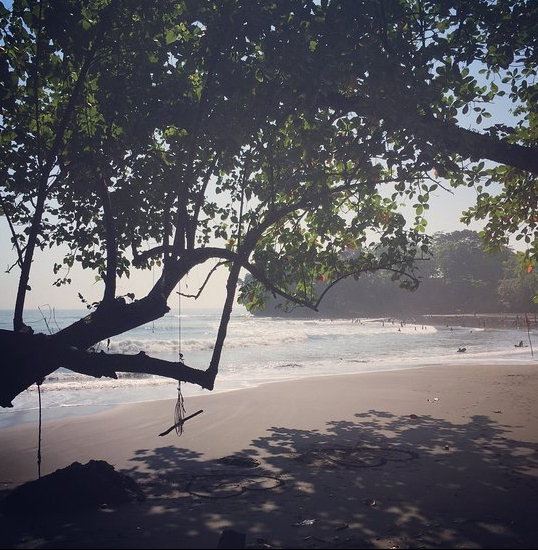 The main beach at Batu Karas also has a small bay, so nobody has to paddle too far to the line-ups. Legok Pari is the perfect beach for beginners or those who have not surfed in a while since the beach is relatively safe and the waves are not too high (five feet max) and course the whole length of the beach. A right hand point well suited to beginners but also very good on its day. 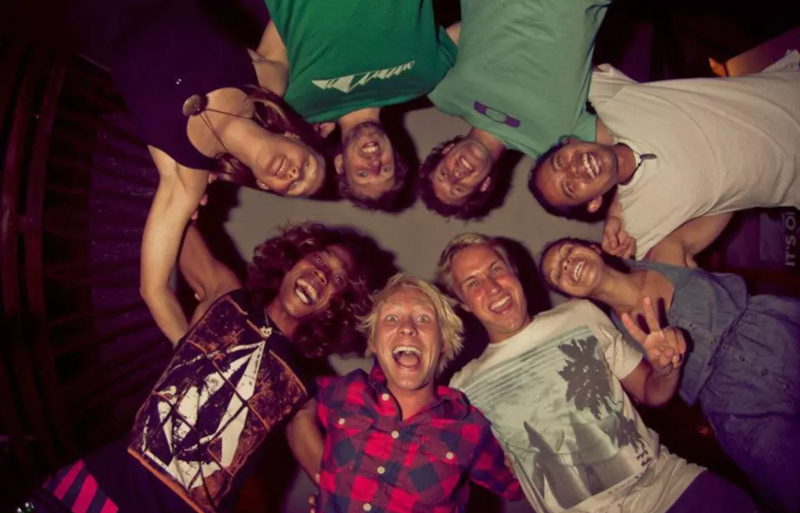 There is a lot of surfing equipment rentals that offer complete surfing necessities, along with experienced instructors who can teach all one needs to know about surfing. So, it doesn’t matter whether you are a professional surfer or have never surfed at all, you can still try to catch the waves of Batu Karas. Apart from Legok Pari itself, there are two other nearby spots: Karang and Bulak Benda. Karang, which literally means ‘coral rock’, is a right-hander with an easy takeoff that leads into fast walls unraveling over a lava reef. This high tide spot can turn on some real quality with clean walls to work on your top/bottom turn combo and down-the-line speed reeling to the beach for around 150 meters. Breaks from waist-to-overhead high. 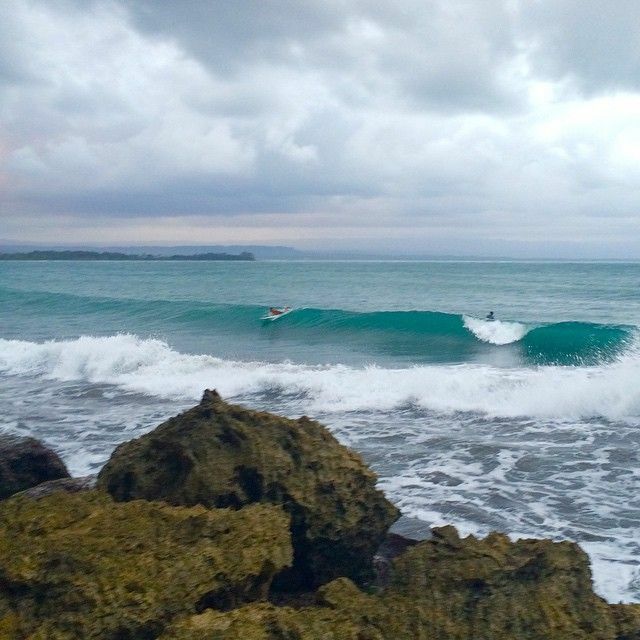 For more advanced surfers, the waves in Bulak Benda—a lefthander reef break—can offer some long ramps and tubes. SURFINN © 21-04-2019 12:38:09. ALL RIGHTS RESERVED.